CerviCusco is a medical clinic that specializes in the prevention, screening, diagnosis and treatment of cervical cancer in Peruvian women. 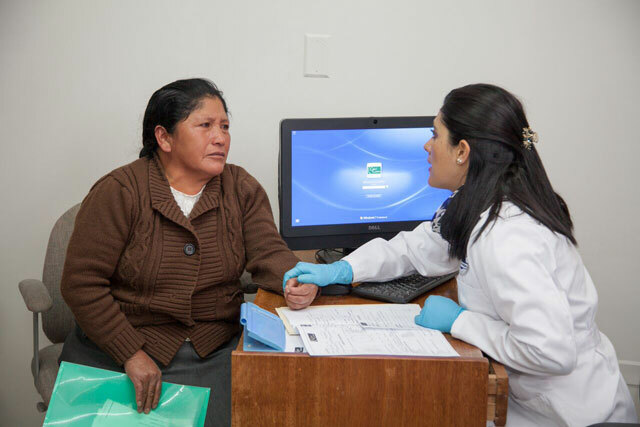 Patient consultations take place at our state-of the-art clinic in Larapa, Cusco. Using mobile clinics, CerviCusco is able to reach women living in more remote areas who lack access to these services at their local health centers. With its advanced medical and laboratory technology, internationally renowned colposcopy services and innovative education methods, CerviCusco is a center of excellence for the prevention of cervical cancer in Peru. CerviCusco provides comprehensive medical care for women. Open 6 days per week, the CerviCusco clinic is staffed by Peruvian physicians, nurses, lab technicians and administrative personnel.